A woodframe, one-story structure with a cover over the front door is seen. The belfry is in the center of the roof. It is encircled by a wooden fence. 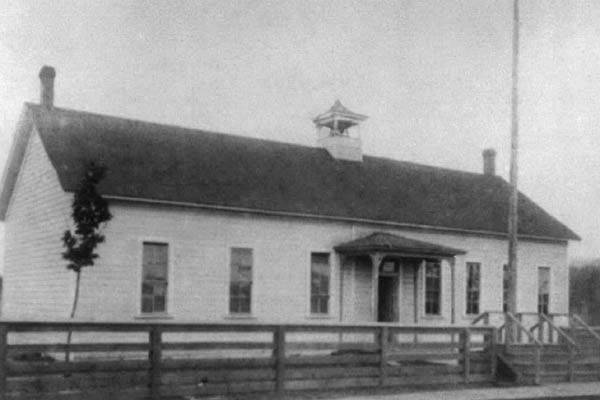 The school was built in 1871 and enlarged twice before closing in 1910. It was located on Broadway Street. Online access to this image is for research and educational purposes only. To inquire about permissions, order a reproduction, or for more information, please contact the Beaverton Historical Society at info@historicbeaverton.org.